▲ Yong-rak Kim, President of the Korean Foundation for International Cultural Exchange (KOFICE) (Left) and Hyung-gwan Shin, CJ E&M Music Contents Director (Right) at the Signing Ceremony for the MOU for Social Contribution Business for Elevating the Reputation of Korea with 'Nice Hallyu'. 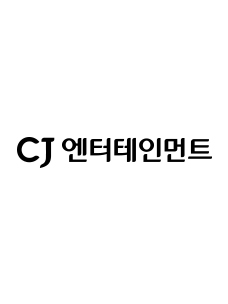 CJ E&M, a total contents provider, announced on March 8 that it signed an MOU for Social Contribution Business for Elevating the Reputation of Korea with 'Nice Hallyu' together with the Korean Foundation for International Cultural Exchange (KOFICE) on the day before. This event was held at CJ E&M Center in Sangam-dong, Seoul, with Hyung-gwan Shin, CJ E&M Music Contents Director, and Yong-rak Kim, President of KOFICE present. This MOU is aimed to utilize CJ E&M's cultural business capabilities and KOFICE's know-how about international cooperation to vitalize reciprocal cultural exchange with other countries and promote 'Nice Hallyu (Korean Wave)' in foreign countries through Hallyu. Both companies agreed to develop and vitalize overseas social contribution programs and international cultural exchange activities in connection with CJ E&M's global culture festivals and and carry out joint projects. In line with this, they will invite SMEs and social enterprises operated by local underprivileged people such as the disabled to KCON 2018 JAPAN to be held in Japan in April and support convention booth operations. "With the signing of this MOU, we will vitalize international cultural exchange through private-public cooperation to build a favorable image of Korea, creating a sustainable Hallyu ecosystem and contributing to expanding the scope of corporate social contribution activities," said Yong-rak Kim, President of KOFICE. "Hallyu is not simply a trend anymore but it is now a cultural code that possesses vast social influence," said Min-gyu Kim from CJ E&M Strategic Support. "Under our CSV philosophy, we will develop borderless win-win activities with Hallyu as a medium while upholding our interests in socio-economic ecosystems of foreign countries." Meanwhile, since 2012, CJ E&M has held , the world's largest Hallyu convention, in many countries, including the US and Japan, and , the largest music awards ceremony in Asia, taking the lead in promoting Hallyu around the world. In particular, KCON that was held in Australia last September was an excellent example of interactive cultural exchange. 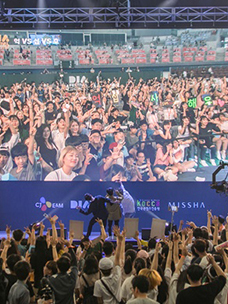 CJ E&M and KOFICE invited local underprivileged people, including natives, immigrants and the disabled and presented a pilot CSR project designed to induce enjoyment of Korean culture including K-Pop. 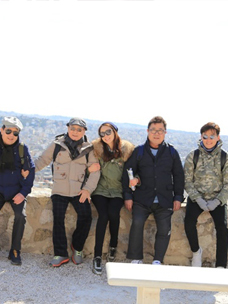 This case was highly recognized as a best practice for private-public cooperation for 'Nice Hallyu' that practiced win-win efforts with local communities and elevated national reputation. 1] In its 5-year national plan announced last year, the Korean government proposed a Hallyu export growth target of 5% and plan for expanding interactive cultural exchange and export of 'Nice Hallyu' cultural contents and entry of related businesses into the market.